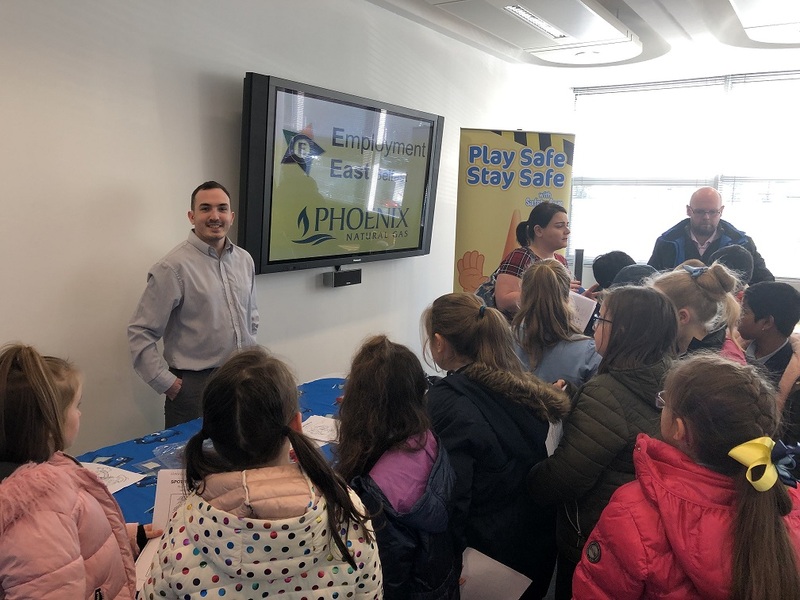 Phoenix Natural Gas opened its doors to almost 80 primary school children during two recent workplace visits as part of Business in the Community’s, Employment East Project. 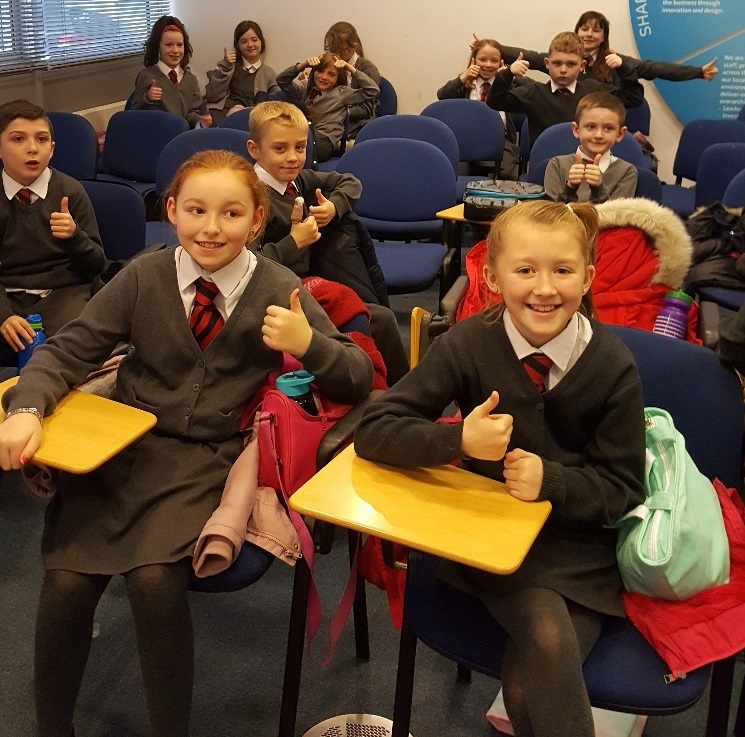 Belfast-based primary 5 pupils from St. Matthews Primary arrived on the 29th November 2018 followed by Primary 6 pupils from Euston Street Primary on the 5th December 2018. Both groups of students were welcomed to the organisation by HR Manager, Olga Pollock who then introduced the Group’s HSE Manager, Adrian McNeilly to deliver their ‘Safety Sam’ and ‘Eco Warriors’ talk. Adrian spoke about the importance of being safe around construction sites and avoiding dangerous hazards. 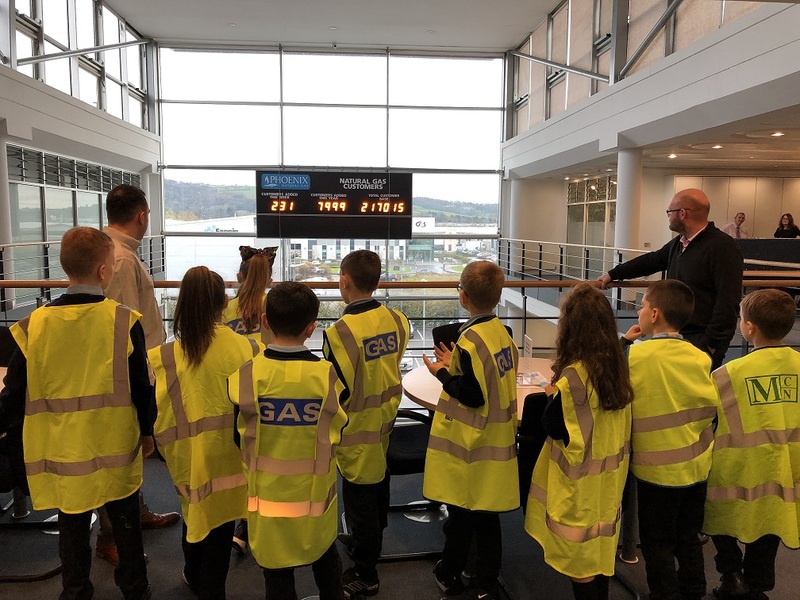 The children also got to learn about how they can do their bit to care for the environment through reducing energy consumption and recycling their waste. 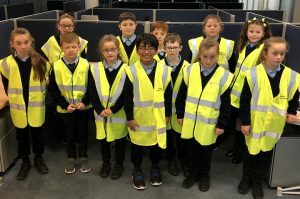 Donning high-viz vests, the pupils then got the chance to take an all-access tour of the building to see what goes on behind-the-scenes at Phoenix headquarters. 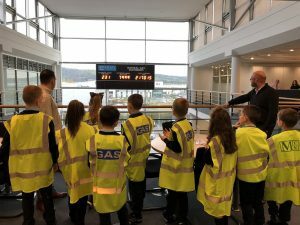 They even had the chance to see, hear and experiment with some gas detectors and practice conducting their own safety checks. Safely led by Nicholas Buchanan, Support Services Assistant on the first visit and Catherine Rice, HR & Payroll Officer on the second visit the children were challenged throughout the tour to spot the number of cut-out pictures of the distinctive blue Phoenix vans which were dotted throughout the building. Meanwhile their classmates were busy working through activity packs before getting to see a behind-the-scenes look at life in the Phoenix offices.